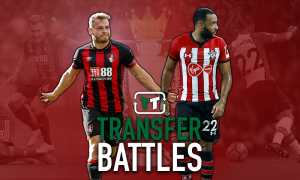 Premier League outfit Bournemouth set to bid for Championship central defender | The Transfer Tavern | Where football transfer rumours fly or die! Premier League Bournemouth have been the most active club during the January transfer window so far, and reports today suggest they may not be finished with their recruitment drive just yet. One Cherries supporting regular here in the Transfer Tavern is waiting for the pub quiz to start, when he spots an article on Club Call that says boss Eddie Howe is preparing a swoop on Wolverhampton Wanderers, for their captain Danny Batth. 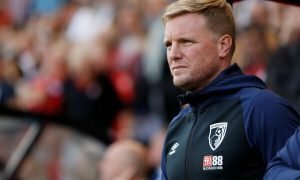 Having already landed strikers Benik Afobe and Lewis Grabban, Howe is now keen to steady up his back line, after seeing his side ship another three in Tuesday night’s 3-1 home defeat to West Ham. A fellow Cherries fan offers his opinion on Batth and he thinks someone of his quality could come in and help the Cherries keep the amount of clean sheets desired, in order to keep the newly promoted club in the division. Meanwhile, a solitary Wolves fan here in the Tavern is starting to get annoyed with Bournemouth, as they are signing all their best players! Bournemouth fans… What do you make to this news that club are spending even more money?! Would Batth be a good signing? Let us know below!